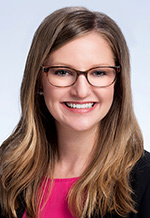 Jen Flood has joined Dykema, a national law firm, as the firm’s government policy and practice group as a government policy adviser in the firm’s Lansing office. Previously, Flood served as a communications strategist with Byrum & Fisk Advocacy Communications, where she served as the firm’s lead in clean energy and education. Flood, of Lansing, brings nearly a decade of experience and in-depth understanding of the legislative and political landscape. She also has experience working in the area of coalition building. In her previous position with Byrum and Fisk, she directed complex projects and issue campaigns that straddled the private sector and government at the state and federal levels. Flood is a member of the Michigan Political Leadership Program Finance Committee and previously served on the Ingham County Women’s Commission and Potter Park Zoo Board. She also has prior experience working in the Michigan House, Senate and Governor’s Office. Flood received her Masters of Public Policy and Bachelor of Arts in economics from Michigan State University.